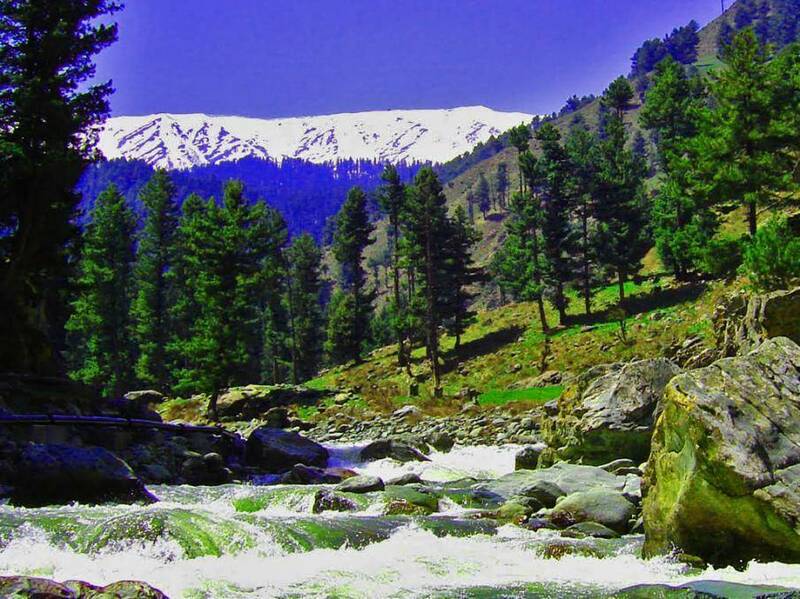 Drung is located 14 Km from Gulmarg and is a perfect destination for rock climbing and trout fishing in summers. Neraby this place over the hills in the region, some temple ruins beleived to from the age of the Pandavas are present. It is best to take a trek of 3 km from Tangmarg or hire ponies which would take you to this picturesque spot. Drung does not have any option for acomadations or restaurants, travelers can stay at Tangmarg, 3 kms away or at Gulmarg. Should not be confused with Drang Drung glacier.